Update: Today we received an update that sangat arriving till 8:45AM will get parking within hotel itself. This week, in addition to the regular Friday Samagam-22nd July, there will be an additional Samagam on Saturday-23rd July to celebrate Sri Guru Harkrishan Sahib Ji’s Prakash Purab. 2. Anybody with special needs or elders who cannot walk can please call Jagjit Singh ji’s assistant Mr. Madhu on 055 917 2283, he will park their car. 3. Don’t give car for Valet parking its not free, it is charged at AED50/-. 4. Once in the hotel there are side by side 2 entrances… For Hotel and Residences, you have to go to residence …ask any staff where the elevator is. Sevadars will be standing at the Hotel enterance to guide the Sangat. 5. 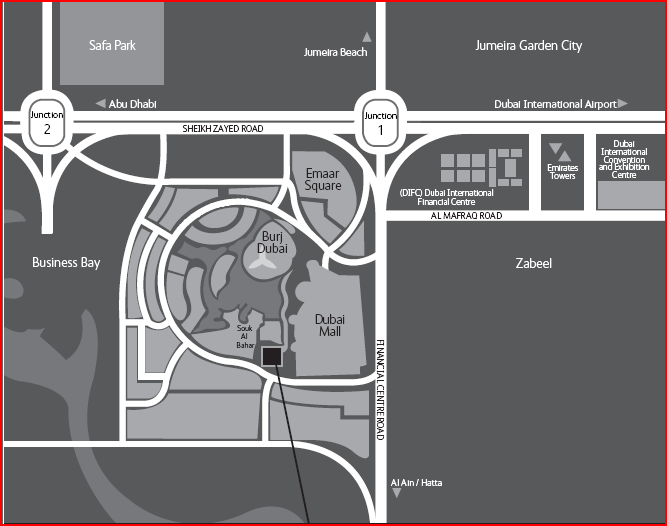 Note: Address Mall Hotel is different …so be careful not to go over there. 7. You would be on the backside of building, it is second building on RHS.